A rebel in thought and action, Anita Augspurg drew sharp disapproval from her opponents and adulation from her supporters; no one, however, could remain indifferent where this early feminist was concerned. 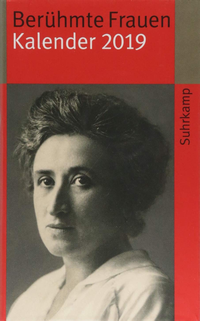 Augspurg was perhaps the most significant leader of the “radical” wing of the first German women’s movement, in particular as it campaigned for female suffrage in the early 20th century. She was born on 22 September 1857 in Verden an der Aller, a small town in Lower Saxony. Her father was a Landgerichtsrat (senior official of the justice system) and notary; and like her father’s, her mother’s family was of academic background. They raised their daughter, a late arrival in the family (two sisters and two brothers were born earlier), with love and a liberal philosophy; she thus gained the prerequisites for developing self-confidence and an independent spirit. Her first attempts after completing school to earn a living as an actress failed. She was successful, however, in setting up a photography studio in Munich in 1887 with her friend Sophia Goudstikker. In their appearance and their behavior the two transgressed against what was considered appropriate for bourgeois women: they sported short hair-cuts, wore bloomers, rode bicycles and sat astride their horses instead of riding side-saddle. But in the long run Anita Augspurg could not be satisfied by her Munich business and bohemian life-style. Following her first contacts with the women’s movement in Munich and her study of the legal situation of women she decided to study law in Zurich; in 1897 she received her Dr. jur, or Doctor of Laws degree. A year later she founded the first German branch of the International Abolitionist Federation (IAF) in Hamburg, together with her friend and subsequent life companion Lida Gustava Heymann. Originating in America, this organization fought against the restrictions placed on prostitutes’ civil liberties. To work on behalf of prostitutes was a bold undertaking in the Germany of the time. During the first World War Anita Augspurg and Lida Gustava Heymann belonged to the small group of those opposed to the war and in 1915 courageously co-organized the International Women’s Congress for Peace and Freedom held in The Hague – and viciously condemned in Germany. Shaken by the collapse of a first democratic government following the death of Kurt Eisner in 1919, Augspurg and Heymann lived reclusively in Bavaria until the Nazis forced them into exile in Switzerland. 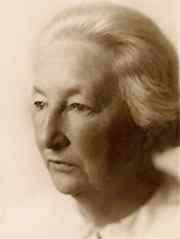 Without means and supported by friends from the international women’s movement, Anita Augspurg died on December 20, 1943 in Zurich, needy and suffering from the dementia of old age. Dünnebier, Anna; Scheu, Ursula (2002): Die Rebellion ist eine Frau. 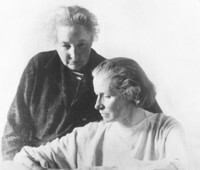 Anita Augspurg und Lida G. Heymann ; das schillerndste Paar der Frauenbewegung. Kreuzlingen: Hugendubel (Sphinx). Henke, Christiane (2000): Anita Augspurg. Reinbek bei Hamburg: Rowohlt-Taschenbuch-Verl. (Rowohlts Monographien, 50423). Heymann, Lida Gustava; Augspurg, Anita (1972): Erlebtes – Erschautes. Deutsche Frauen kämpfen für Freiheit, Recht und Frieden 1850 – 1940. Herausgegeben von Margrit Twellmann. Frankfurt am Main: Helmer, 1992. Kinnebrock, Susanne (2005): Anita Augspurg (1857 - 1943). Feministin und Pazifistin zwischen Journalismus und Politik ; eine kommunikationshistorische Biographie. Herbolzheim: Centaurus-Verl. 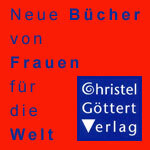 (Frauen in Geschichte und Gesellschaft, 39). Schroeder, Hiltrud (2005): „Übermächtig war das Gefühl, daß wir vereint sein müssen“. Anita Ausgspurg (1857 – 1943) und Lida Gustava Heymann (1868 – 1943). In: Pusch, Luise F.; Horsley, Joey (Hg.) (2005): Berühmte Frauenpaare. Frankfurt am Main: Suhrkamp (Suhrkamp-Taschenbuch, 3404).